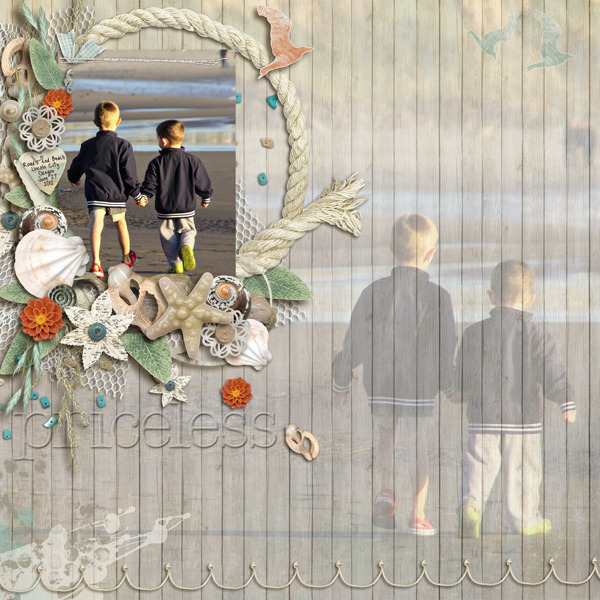 Seaside was born out of the request from one of my CT members for a kit to scrap the pics of her family's recent trip to the Oregon coast. With so many fun and eclectic elements and a color palette I just want to cuddle with, it's perfect for any photos from the beach and more! 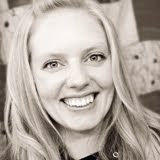 Check out these awesome CT pages to see what I mean..
Did you hear the news?!?! 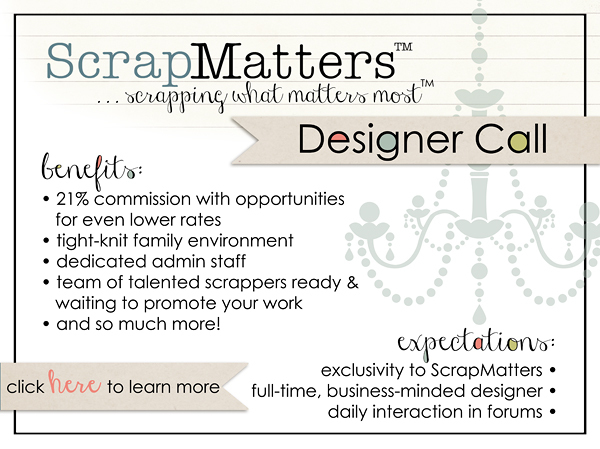 ScrapMatters is having a DT call! Click to find out more! 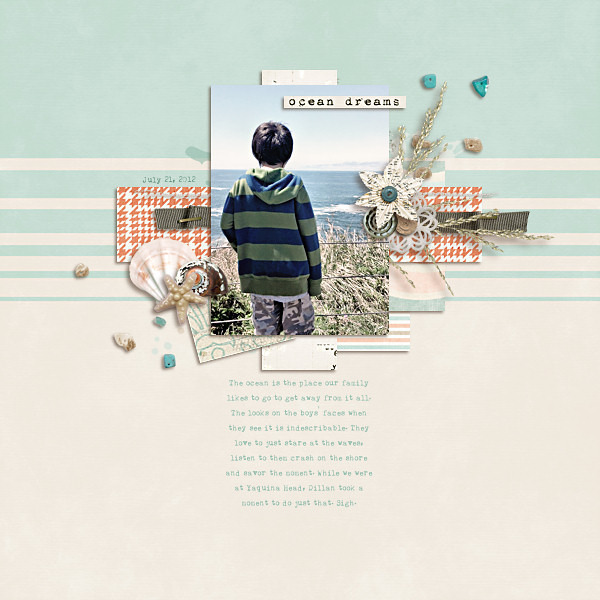 Amber has teamed up with another SM designer this week to create a very soothing and relaxing kit. Would you like to win it? 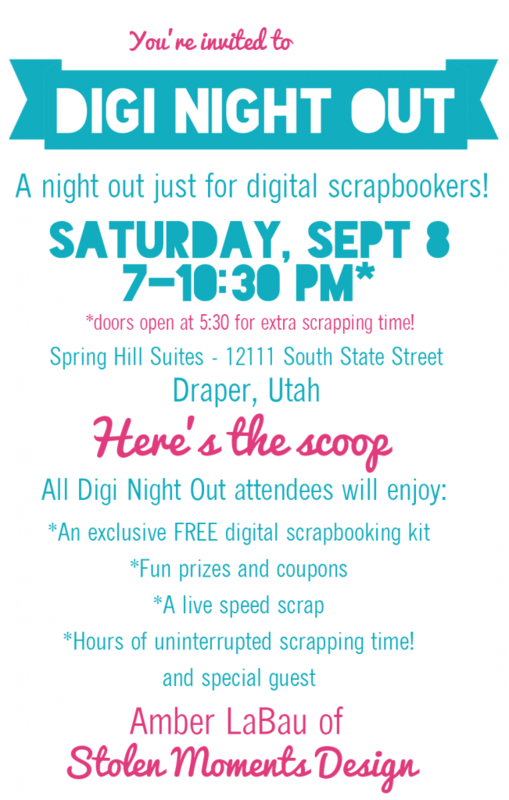 Check out this post at ScrapMatters to win your own copy of it! 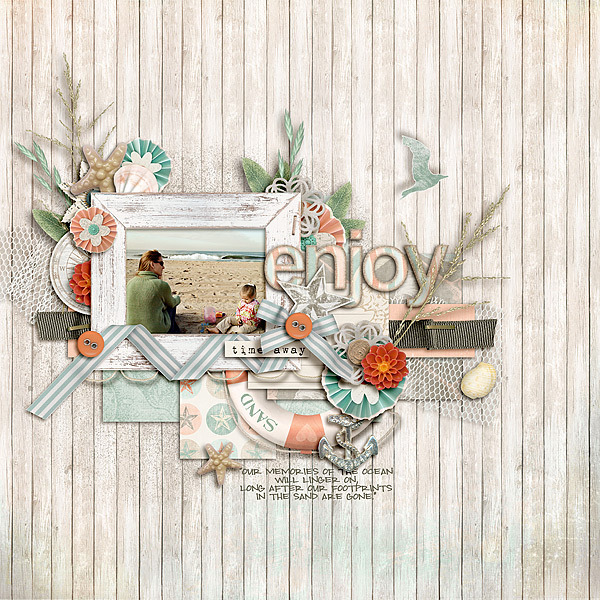 One of my favorite things about the sales at ScrapMatters is that you can always get a free kit with your purchase, and this one is definitely a keeper - check it out..